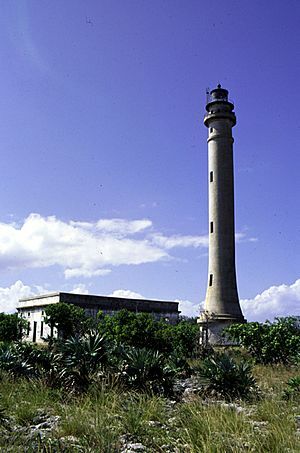 Navassa Island's lighthouse with the light keeper's quarters in the background. A satellite image of Navassa Island. 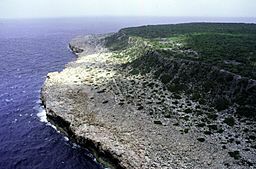 An aerial photo showing the steep rocky coast that rings the island. The ruins of Navassa Light keeper's quarters. Navassa Island Facts for Kids. Kiddle Encyclopedia.